Passionate and sophisticated are just a few words we’d use to describe Spain and its vibrant personality. On this nine-night Iberian adventure, we’ll show you the best bits of its fascinating past, teamed with its modern culinary scene. We’ll lead you through its key cities with our expert local guides where you’ll gain behind the scenes access to some of the best sites. Start off in Madrid with an enthralling cultural experience filled with awe-inspiring art galleries and flamenco dancing to exceptional eateries and markets. From Madrid, we’ll shoot you south to the tapas capital of the world – Seville. 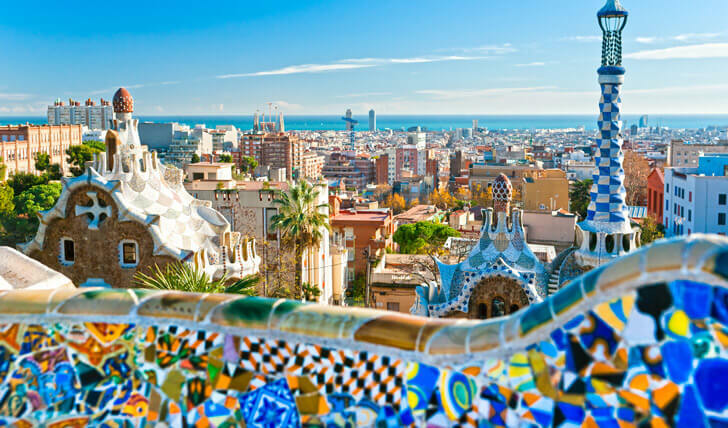 Lastly, we’ll fly you north to Barcelona, where you’ll dive into the elegant, yet whimsical works of the famous Catalan architect Antoni Gaudí up close on foot as well as by helicopter. You’ll start your Spanish sojourn in Madrid at Hotel URSO, where you’ll be staying for three nights. From Madrid’s Royal Palace, magnificent museums and boutique markets to its fashionable shopping and fine dining venues, it’s an unbeatable location. 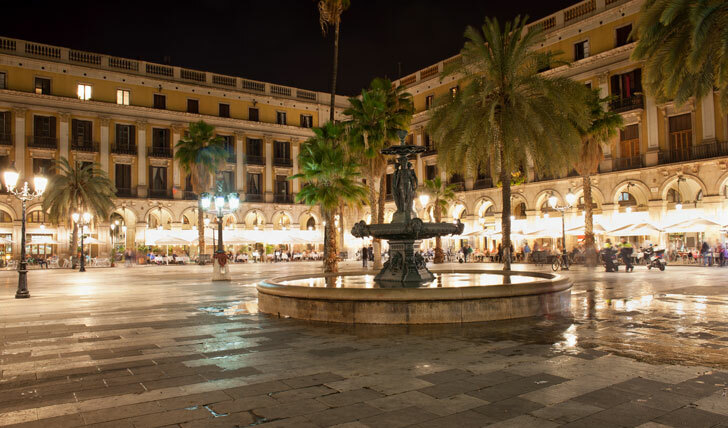 For your second day in the city, you’ll soak up a truly special part of Spanish culture with the 18th century-born flamenco dance, as we arrange a show for you at a renowned favourite spot for flamenco lovers. Come the evening, set your taste buds tingling with our tapas tour, which will take you off the beaten track and into Madrid’s most authentic restaurants, coupled with a wine-tasting. With the Ritz conveniently nestled next to Madrid’s ‘Golden Triangle’, which is comprised of three prestigious art galleries including the Prado and La Reina Sofia, tomorrow we’ll take you on a walking tour to learn about some artistic masterpieces of old and new from a local art historian. As night falls head to Malasaña, an area of Madrid with a creative and countercultural scene that comes alive as night falls. Onto Seville, you’ll check in at the elegant Hotel Alfonso XIII for two nights and find yourself in prime location to discover the charms of medieval Seville, from its old Jewish quarter of Santa Cruz to its romantic Guadalquivir River. A major city highlight is the fortress-turned-palace the Alcázar of Seville, where we’ll plan a private tour giving you the opportunity to explore the oldest royal palace still in use in Europe. As evening sets in, dig into some delicious tapas bites from traditional Andalusian ‘Cazón en Adobo’ to fresh ‘Calamares Fritos’ before your private excursion to Córdoba and the Great Mosque tomorrow. On leaving Seville behind, you’ll rest up for your final four nights at Barcelona’s beautiful Mandarin Oriental. In the city famous as the home of modernist architect Antoni Gaudí, we’ll organise a local guide and artist to show you around some of his impressive masterworks, from the fairy-tale-like Casa Battló to the Park Güell gardens. You’ll end the day at Gaudí’s now UNESCO-listed La Pedrera, where you’ll enjoy a glass of Cava whilst learning a last few facts about the artist himself. After a good night’s rest, join an expert guide in Barcelona’s emblematic markets, such as La Boqueria and Santa Caterina, where you’ll gain yet more knowledge about Spanish gastronomy, stopping off at specialist eateries. Tomorrow, we’ll whisk you down to Girona, where you’ll explore the old town and museums as you meander through the maze-like streets and squares, stopping off at the incredible Dalí Theatre-Museum.. Your last day in Barcelona will the be spent out on the Mediterranean Sea as you embark a Menorquina boat cruise before enjoying one last guided tour through the pockets of Barcelona’s old town and those last few tapas bars in the historic Gòtic and upbeat El Born quarters. The next morning, it’ll sadly be homeward bound.